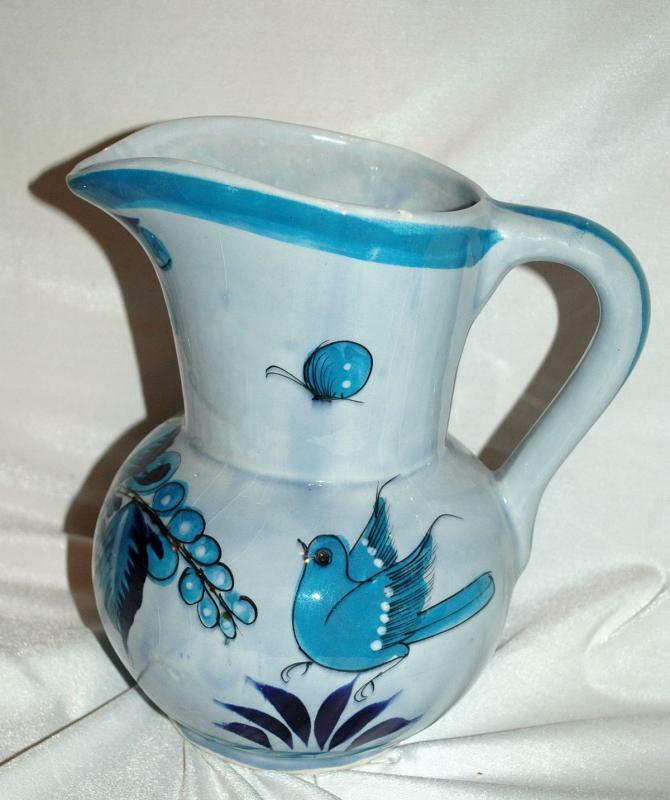 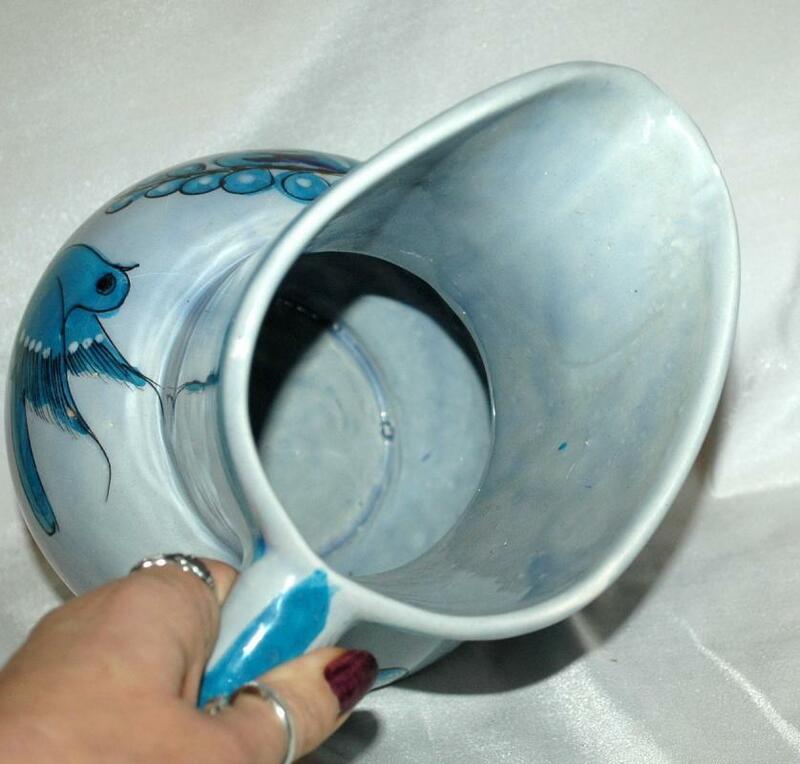 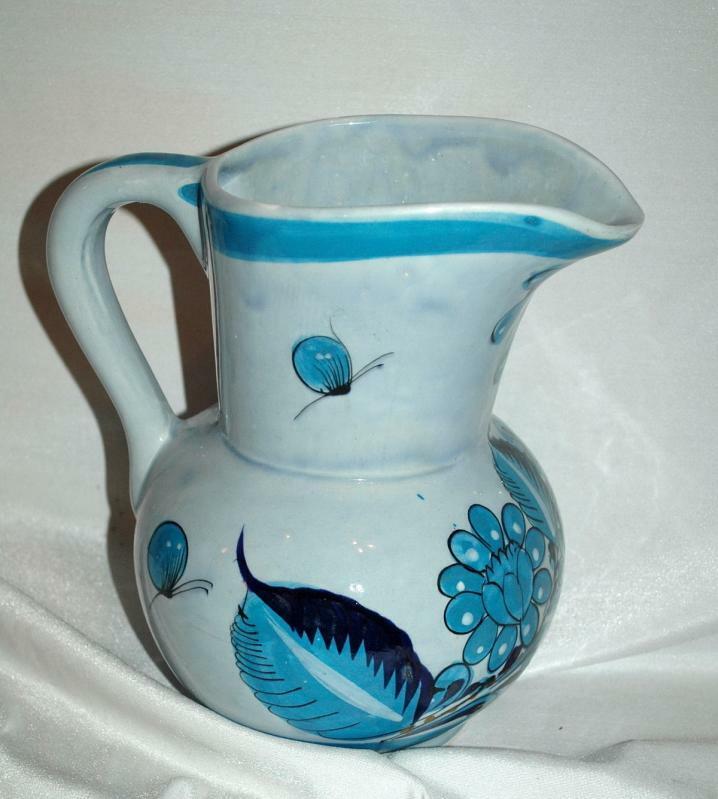 Large TONALA MEXICO POTTERY SIGNED BLUE BIRD PITCHER BUTTERFLY FLOWERS. 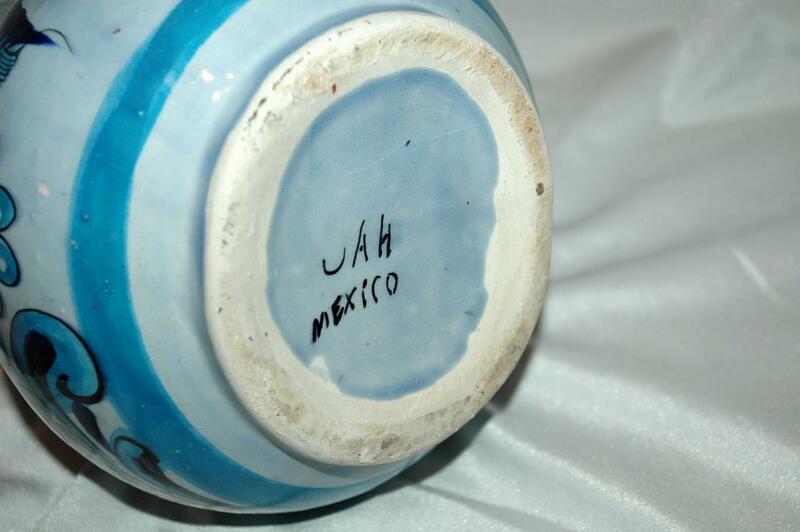 It is marked on the bottom JAL Mexico . 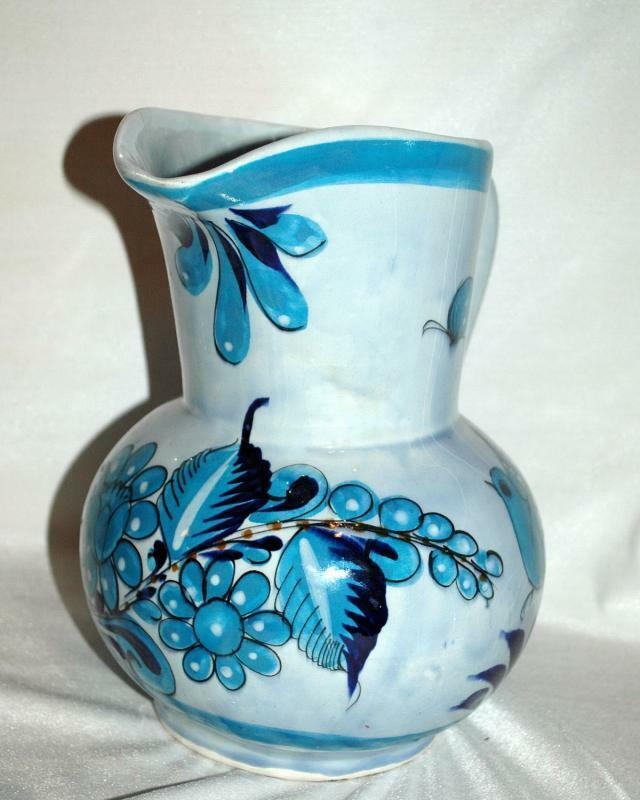 It is 9.5" tall and the condition is very good to excellent.